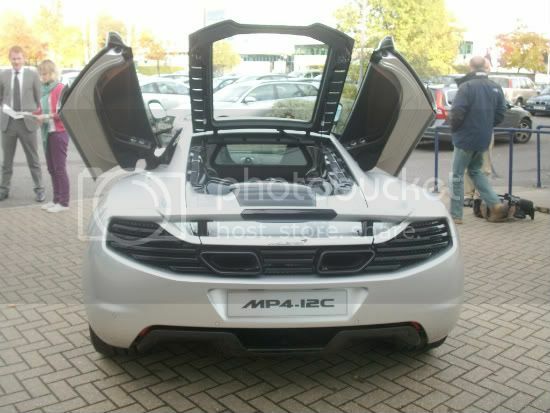 ... will Glenn bring the MP4-12C to Coventry? That would be nice to see! I assume Glenn has one on order. Last edited by fiona; 04-03-2011 at 02:04. Hey, look at you, Fiona! Did you get to drive the beast? Unfortunately not but I did talk to the marketing guy about bringing it along for track rides at the Dad's Day Out event I'm helping with and filming in May. So fingers crossed it'll be available for a spin round the Top Gear track. I think there's a fair chance as the main event organiser has a convertible one on order. It looks like week 37 is the one. I think the Matthew is also coming, that would make 12.